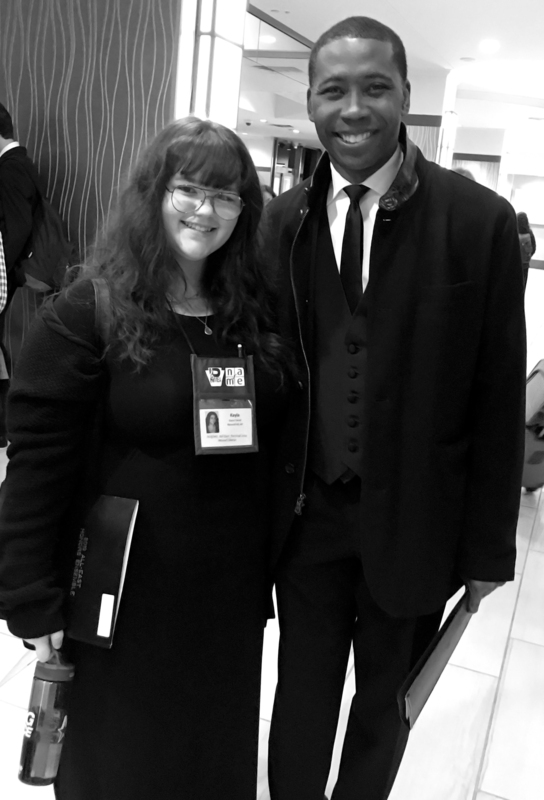 Norwich High School senior Kayla Farrell poses with guest conductor Rollo Dilworth during the PMEA/NAfME Eastern Division Conference, which ran April 4-6 at the David L. Lawrence Convention Center in Pittsburgh. Kayla attended the conference as a member of the All-East Honors Ensemble. PMEA stands for Pennsylvania Music Educators Association while NAfME is short for National Association for Music Education.